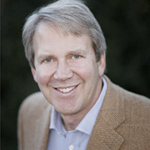 Steve Fridrich is the Vice-president of Fridrich, Pinson & Associates. His full time responsibility, however, is the position of President of Fridrich and Clark Realty, the sister company of the agency. He has over 30 years of experience in the real estate field and presides over 2 offices located in Nashville (Green Hills) and Brentwood (Williamson County). The two branches total over 150 full-time agents. Steve was selected as the #1 agent in Nashville area in 1999, 2001 and 2007 and is a past president of the Greater Nashville Association of Realtors. He is a licensed insurance agent and serves a key advisory role in development of the Fridrich, Pinson & Associates. Steve is graduate of Father Ryan High School and Vanderbilt University He and his wife Phyllis are parents of two daughters, Sloan and Ella, and one son, Steven. They attend St. George’s Episcopal Church in Nashville.